Jan. 27, 2015, 12:36 p.m.
At the MIT Media Lab, teams of designers, developers and storytellers pulled stories from eight different data sets. By Caroline O’Donovan @ceodonovan Jan. 27, 2015, 12:36 p.m.
As one of the event’s organizers, HarvardX’s Nadja Oertelt, pointed out, some of the groups had to deal with especially emotionally charged data. The consideration each group gave to the sensitivity of their respective topics is reminiscent of last week’s essay on Source, “Connecting with the Dots,” by New York Times software architect Jacob Harris. In it, Harris writes about the experience of routinely taking human tragedy — in this case, “massive sectarian cleansing” in Iraq — and turning them into numbers, datasets, and, ultimately, dots on a map. The challenge he describes is similar to what two Datalore teams in particular had to face. One of those groups worked on merging two data sets that dealt with state executions in Texas: one that provided names of prisoners and another that documents their last words. Their task was to use this information to highlight the racial and economic injustices of the death penalty system in Texas. What they came up with was a grid display of prisoner’s photographs; when users click on a prisoner, they can view information about them, as well as play audio clips of some of the prisoners last statements. A text animation types out fragments of these final words; a constantly blinking cursor evokes lives cut short, people executed who still had more to say. Another group, this one working with traffic fatality data, also faced a the challenge of bringing empathy to a dataset in order to turn it into a story. One of their team members, Amanda Casari, works with Fatality Analysis Reporting System data in her day job as a data scientist. Casari said the process of working with storytellers at Datalore drew her attention for the first time to the data points that are swept aside as outliers in a routine analysis. “I didn’t think about the stories of what the numbers represent,” she said. Together, their team created a website that used interactive visualizations and video components to open a dialogue around individual, personal tragedy. On the flip side, there was also a pair of teams that dealt with their data set through humor. One of those teams worked with data pertaining to genetic editing, specifically with a set of “all of the double stranded breaks in the genome of cells treated with CRISPR-Cas9.” Dressed up in lab coats, CRISPR team members pitched the audience on a futuristic startup that would allow them to explore and alter their own genetic codes as never before. The joke, one team member said, was meant to highlight the overblown statements about genetic editing in traditional media and on websites like Reddit. Stories about designer babies and the like may generate a lot of attention, but as the team’s data analysis suggested, the science simply isn’t there yet. A second group, this one working with datasets on for-profit college revenue and student loan debt, turned their data into a parody of an investment pitch. 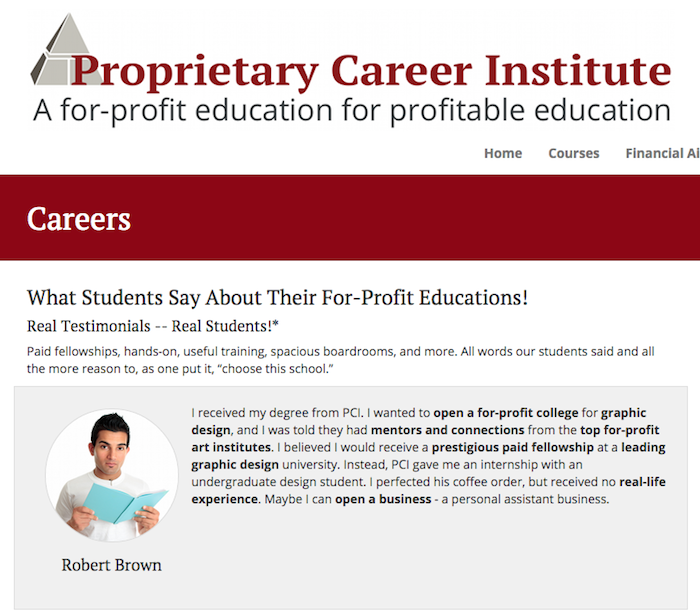 To highlight the predatory nature of these institutions — and the way in which the government supports them — they created The Proprietary Career Institute. The site has helpful information, such as where you might want to open a for-profit college, how to get rich off of government loans, and details on courses like Copywriting & Obfuscation and Juking the Stats 101. Both of the Datalore parody projects can be seen as a critique of the media: What comes across as boring on a map or with a data visualization might reach more readers if professional storytellers and designers aimed for laughs. As with all hackathons, Datalore was less about building finished products than about allowing participants to stretch their skill sets and spend time learning how practitioners in other fields think and work. 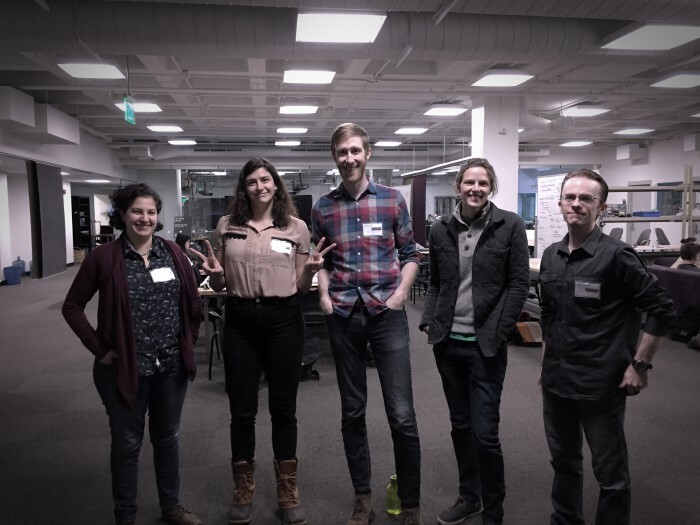 Photo of hackathon organizers Dalia Othman, Nadja Oertelt, Sean Flynn, Heather Craig, and Johnathan Carr by Eric Gulliver of The Non-Fiction Cartel. POSTED Jan. 27, 2015, 12:36 p.m.
O'Donovan, Caroline. "At Datalore, data plus storytelling means empathy, humor, and games." Nieman Journalism Lab. Nieman Foundation for Journalism at Harvard, 27 Jan. 2015. Web. 25 Apr. 2019. O'Donovan, Caroline. "At Datalore, data plus storytelling means empathy, humor, and games." Nieman Journalism Lab. Last modified January 27, 2015. Accessed April 25, 2019. https://www.niemanlab.org/2015/01/at-datalore-data-plus-storytelling-means-empathy-humor-and-games/.